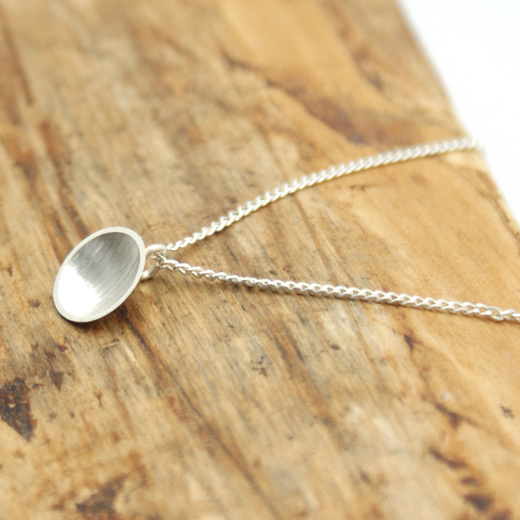 A simple yet elegant pendant and chain the TEGO range. 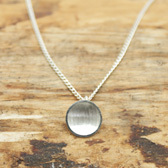 The handcrafted sterling silver disc pendant has an inner lining of brushed sterling silver with a smooth silver edge. The contrast of the brushed disc and polished edge sets the pendant off very well. It will enhance any outfit and look equally elegant with evening wear. We have earrings in different sizes to match this pendant on this page. 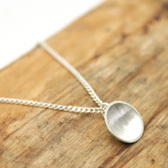 A high quality sterling silver pendant and chain and great value. Like all of our products, it is brand new and in stock in the UK, ready for our super fast shipping.